AR 3.00 - Black, Fine Edge. 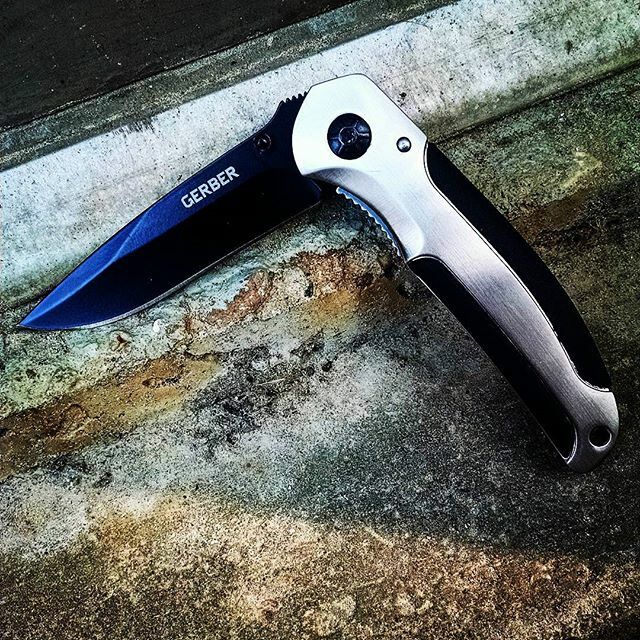 The Gerber AR 3.00 model 05848 has a black high carbon stainless steel blade that comes shaving sharp right out of the box. The knife is smooth as butter when you open it using the thumbstuds. The handle is comfortable as can be thanks to the rubber inserts mounted into the die cast aluminum handle. 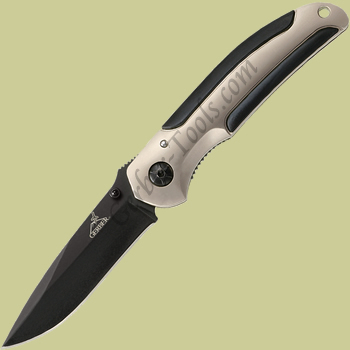 Even though the AR 3.00 is a full sized pocket knife, it weighs only 2.8 ounces because of the aluminum handle.